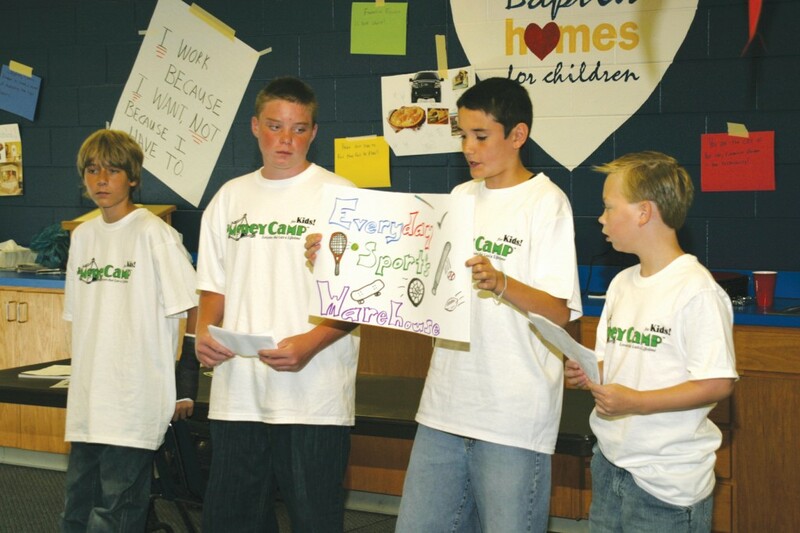 EDMOND-While there weren’t any free samples passed out, “Money Camp” gave residents of Boys Ranch Town and some other area students something far more valuable than a complimentary dollar bill July 16-20-it taught them how to make their money work for them. The camp, which also featured instructor Casey Kennedy, president of Money Camp OK, began at 8:30 a.m. each day and ran through 3:30 p.m. Both Barnes and Kennedy are licensed and certified money coaches. It was the first such camp held in Oklahoma. The curriculum was developed in Santa Barbara, Calif. 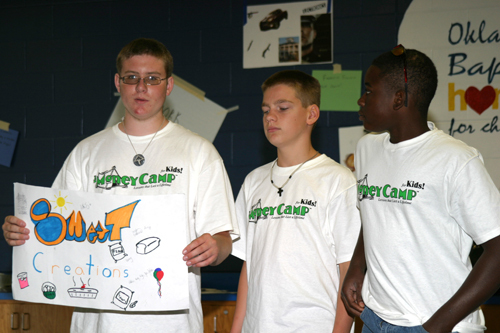 Billed as a event in which “Financial Literacy Meets Entertainment,” Money Camp’s goal is to provide “lessons that last a lifetime” through interactive, hands-on training. While Money Camp was fun, campers received invaluable knowledge on a variety of topics, even at the very basic level, where they learned how to define money and wealth and were taught the history of money. They learned basic money terms, how to balance a check book, how to manage money and how to be a wise consumer, in addition to examining investment options, such as stocks and bonds, CDs, savings accounts, mutual funds and insurance. Campers took a field trip to Legacy Bank at N. May Ave. and Memorial Rd., July 20, where they toured the institution and met with several bank officers for a question-and-answer session.